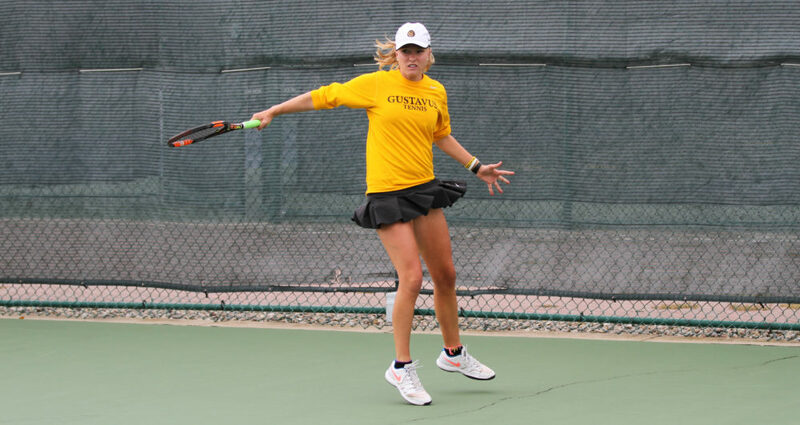 SAINT PETER, Minn. – The Gustavus women’s tennis team opened up their spring season this weekend with five matches where they compiled a 4-1 record. The Gusties had two home matches on Saturday, and three on Sunday, with a match at Northern Iowa scheduled for Sunday afternoon being cancelled due to weather. The Gusties will next be in action next Saturday when they will send a team to N.D. for matches with the University of North Dakota and Concordia, while a team will stay in Saint Peter and host the University of Mary for an 8:30 a.m. match.